These promotional tube lanyards are manufactured from a high-quality woven material into a strong, shoe-lace style. Offered in either 10 or 12mm width options. 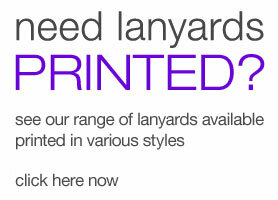 The lanyard can be screen printed with your choice of branding in up to 4 different colours. As a tubular option, compared to the flat type they are much more comfortable along the neckline, these are soft to wear, long lasting and extremely durable. 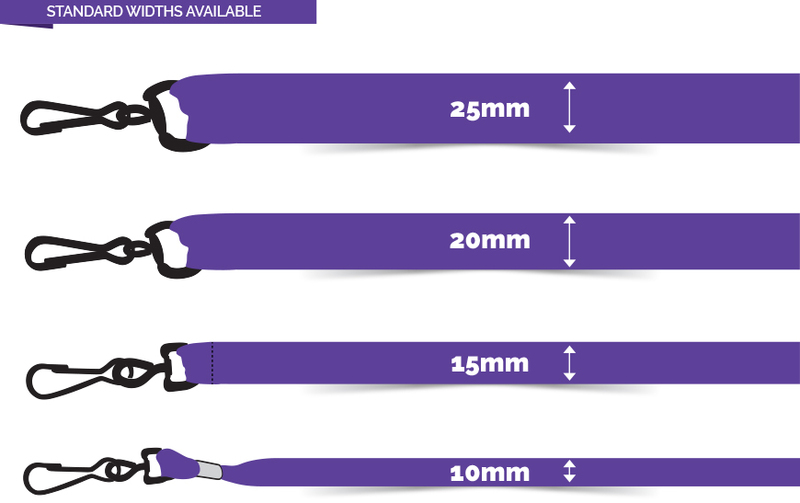 Standard length is 900mm however these lanyards can be cut to any length. Very comfortable to the wearer. Branded up to 4 colours. 10+ stock colours or custom dyed available. Not suited to overly complex prints. Perfect for simple logos and text print. 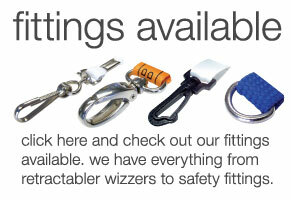 These lanyards are made with the most comfortable type of material used for making lanyards. The comfortable look and feel of them is due to the edgeless tubular material that these particular lanyards are made of. The standard length of each lanyard is 900mm. However, they can be cut to any length, in order to fit your specific needs. 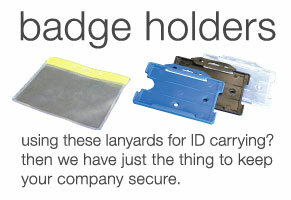 Your unique company name or logo can be imprinted on each lanyard in up to 4 different colours.